Making Lunchtime Fun Again & Win a Year's Supply of WetOnes! Making Lunchtime Fun Again & Win a Year’s Supply of WetOnes! The first day of school is always exciting for the kids. There’s something about the smell of fresh school supplies, and the thrill of wearing that new outfit they’ve been waiting to bust out since you left the store. Then there’s the new friends to meet and the fun first day of school “get to know each other” activities. Then… as the days go on… the excitement begins to wane. By the time the first week is over back to school has pretty much lost its luster and the kiddos are back to longing for the days when they could sleep in and lounge around the house all day. That’s when I throw on my supermom cape, and rush to the scene! While there isn’t much I can do about the early start time, or the excruciating pain that seems to come to young children when they’re asked to sit still and focus for any amount of time… I can try to give them something to look forward to! 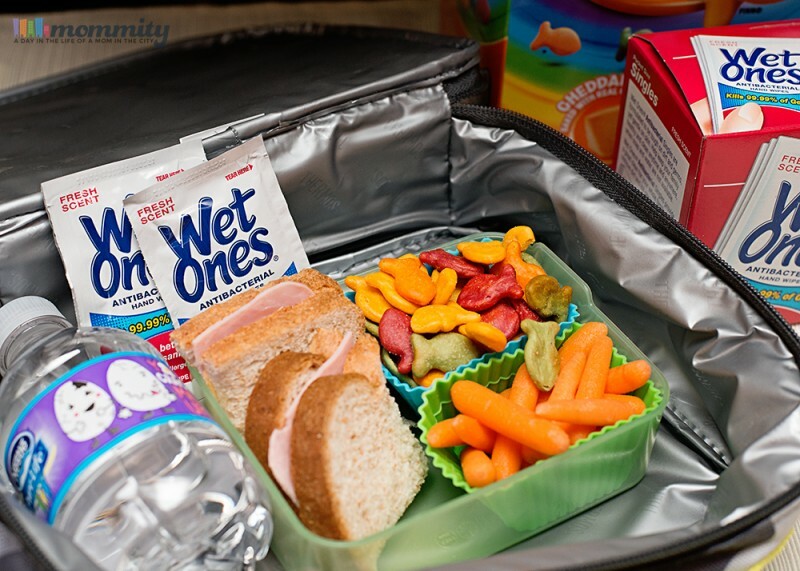 Making lunches fun can bring back the excitement of school all over again! How do you make lunch fun? I like to try going with a theme! Each week, create a new theme for your children’s lunch and try to choose items that match that theme! If the theme is animals for that week, for instance, be sure to pack their lunches with plenty of Pepperidge Goldfish Crackers, string cheese shaped like octopus, and maybe even a sandwich shaped like their favorite animal! I’ve actually found that because Pepperidge Goldfish Crackers have so many different flavors and themes, I can incorporate them into a number of different themes! One thing that should be consistent week after week, however, is hygiene. 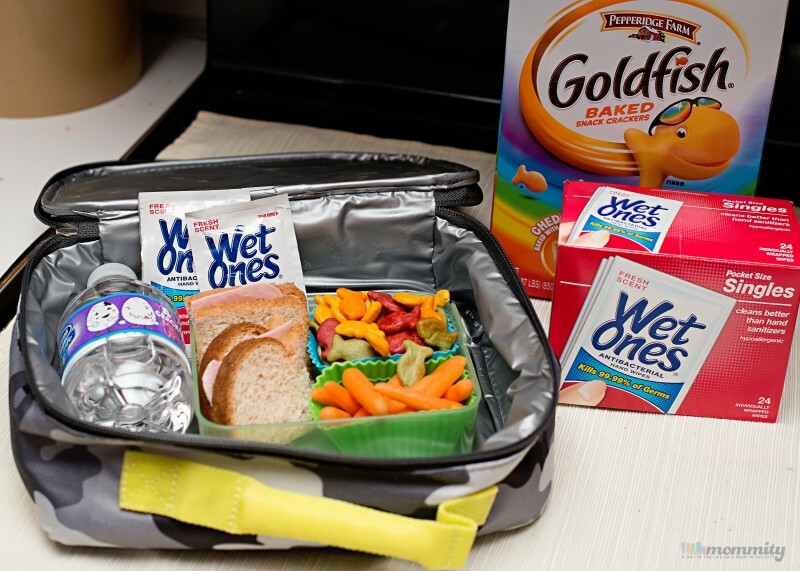 Be sure to pack a Wet Ones Single into your child’s lunch each day as well. They help make sure those little hands are clean before they dig into their fun lunchtime treats! Want to stock up on WetOnes? Be sure to visit www.wishihadwetones.com for chance to win a year’s supply of WetOnes for your home and your child’s classroom, plus $1000 cash! What ideas do you have for the perfect lunchtime theme? Share them in the comments below!